Sean Holley is a TV Rugby Analyst for BBC Wales Scrum V in studio and outside broadcasts. Sean provides commentary and match analysis In-game and pre/post match. Sean Holley is also host of the 'Rugby Nation' weekly show for Town and Country Broadcasting. He also writes technical coaching articles for several publications. Sean was Head Coach for Ospreys Rugby for nine Seasons – over 250 Games. He worked with British Lions, Six Nations Internationals, All Blacks and Springboks - Shane Williams, Gavin Henson, Adam Jones, Ryan Jones, Tommy Bowe, Justin Marshall, Jerry Collins, Scott Gibbs and Mike Phillips and many more. He also worked as Coach for the Welsh Rugby Union. Sean has also held several other high profile positions in the world of Rugby. He was the longest serving and most successful Welsh Regional Coach in the history of the game. 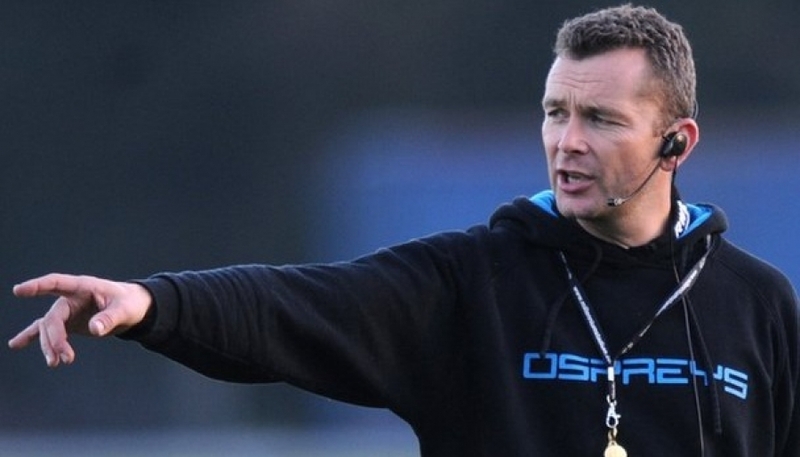 In 2013 Sean was appointed Head Coach for Bristol Rugby. Sean has a great deal of experience in education, teaching, lecturing and developing a range of further and higher education courses including HND Sports Science. He wrote and developed the first ever Rugby Educational Course through BTEC and established the fore-runner to the now Scarlets Rugby Academy, taking the College rugby from a single XV in 1995 to an Academy ethos incorporating several teams, a coaching staff and development programme. Sean Holley is an accomplished after dinner and keynote speaker. Sean's 9 years at the Ospreys working with the top rugby players in Wales and his experience with Wales and Lions Tours, has left him with many 'never before heard' stories and memories that fascinate his audiences. His effervescent personality also makes him an ideal host for high profile events. Sean is also much sought after by Businesses and Governing Bodies to speak about a range of topics including:-'Developing High Performance Teams'; 'Winning Teams'; 'Modern Professional Coaching Environment' amongst others. Sean Holley is also one to surprise his audiences as he will often bring along his guitar and sing a song he has written about the event he is speaking at. An altogether first-class, exciting and extremely interesting speaker.